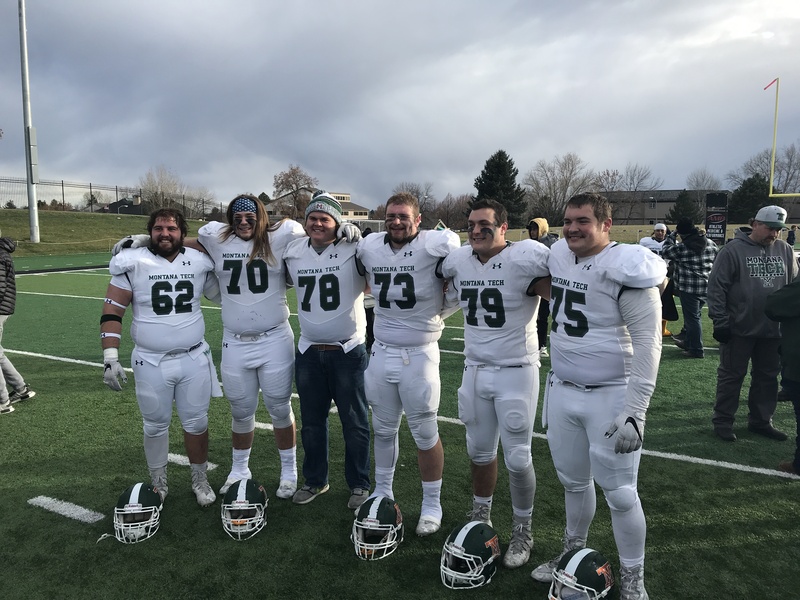 Kellen Davis #73 Moscow High grad celebrates with his fellow offensive linemen after his final football game for Montana Tech November 10 in Billings Montana. Montana Tech beat Rocky Mt College 31-27. Kellen was a 3 year starter for the Orediggers. Photo by Doug Davis.